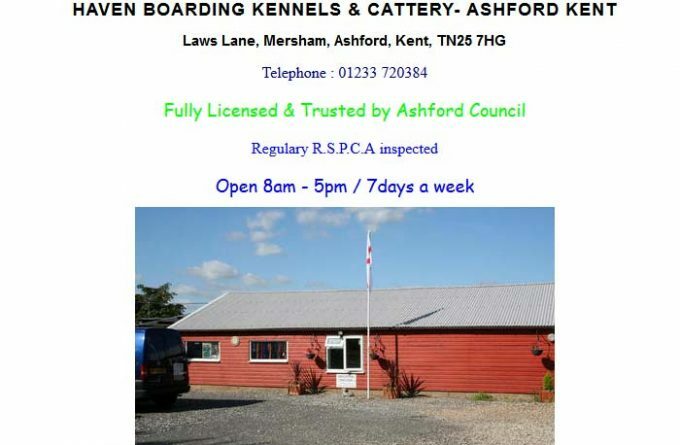 Haven Kennels and Cattery, based in Mersham, Asford, are set in just over 2 acres of Kent countryside. The cattery offers spacious, heated pens, each with their own individual excercise areas. The cat units all have thermostatically controlled heating installed, to ensure maximum comfort, and the cattery is filled with natural light. For more information about Haven Kennels and Cattery, you can visit them in person, visit their website, telephone or send them an email (if available) using the form below.